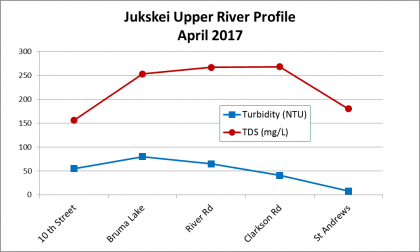 Jukskei River pollution in the upper section of the catchment increased drastically in April 2017. Pollution and river health monitoring in Morninghill in Bedfordview shows this to be the worst situation in two years. 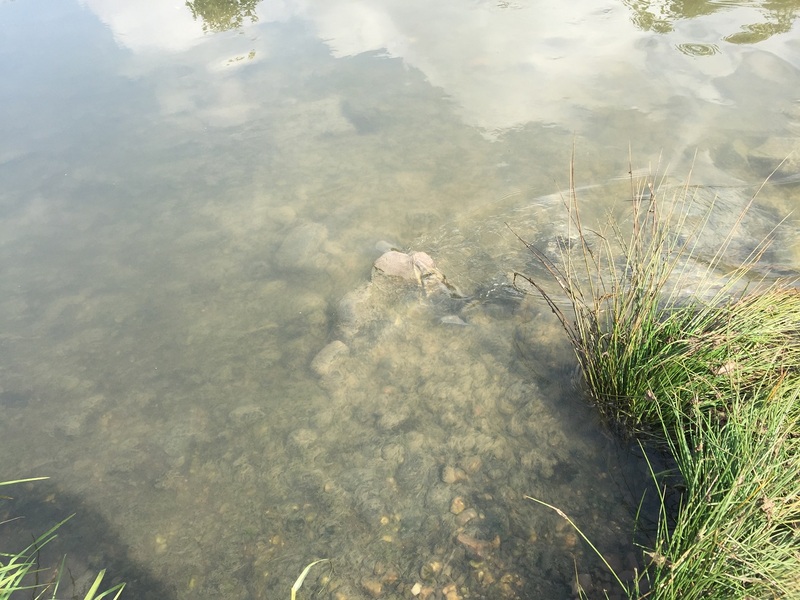 The source of the current problem is a sewage spill entering the river from the Queens Wetland, 50 m upstream from Queens Street Bridge. 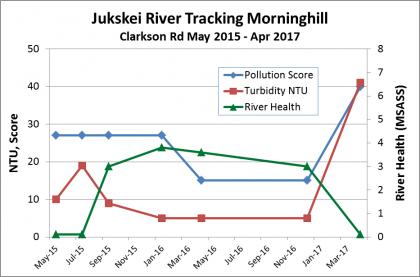 This report describes the Jukskei River pollution from the Bruma sewage spill in April 2017. 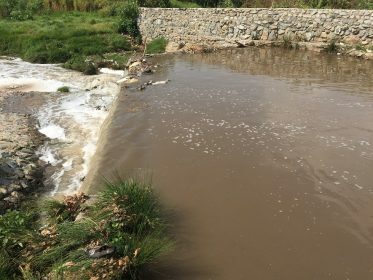 Read here for more background to the situation in the Jukskei River catchment. 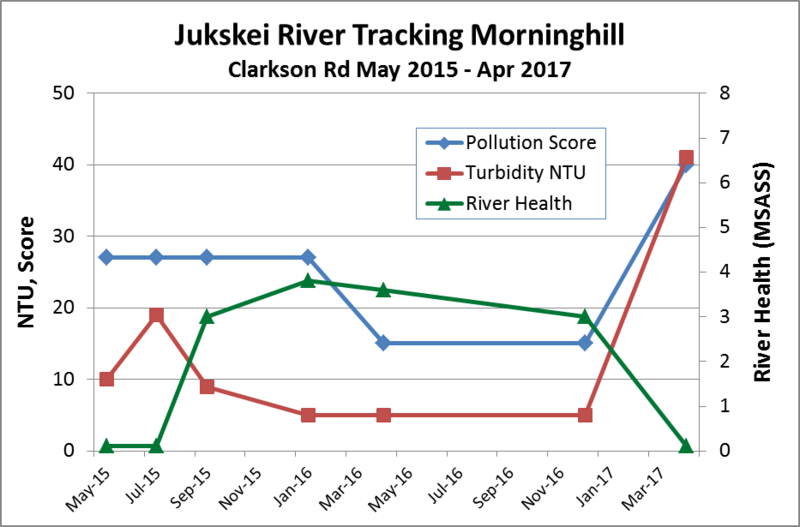 Jukskei River Pollution increased drastically in the upper section, as shown at Clarkson Rd, Morninghill. 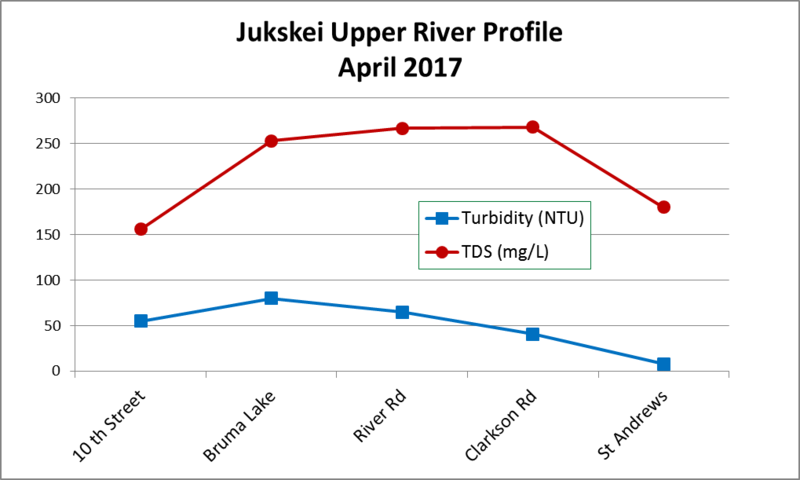 The first graph shows the trend in two measures of pollution (RiverWatch Pollution Score and Turbidity in NTU) and river health (MiniSASS) since May 2015. The situation in April 2017 is the worst recorded in two years, and reverses an improvement over the previous year. The second graph shows total dissolved solids (TDS in mg/L) and pollution score at five sites between Tenth Street Bruma and Willow Crescent in St Andrews, Bedfordview. These two measures of pollution show a sharp increase at the site of the former Bruma Lake. Upstream from Queen Street the water was grey-brown, foaming moderately with a smell of sewage. It is consistently like this. Downstream from Queen Street the water was grey-white, more turbid and smelling strongly of sewage. Usually the river at this point is clearer as much of the solid matter is precipitated out and retained by the weir under the bridge. The third photo shows the state of the river bed at the end of Clarkson Road in Morninghill. 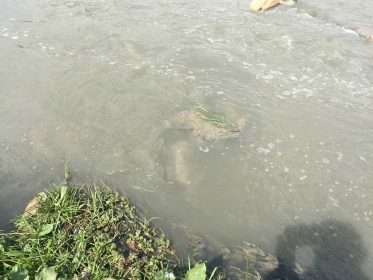 The rocks are covered in a layer of “sewage fungus”, making it impossible to assess river health. The amount of foam increases steadily from Bruma to a peak at Gillooly’s Farm. 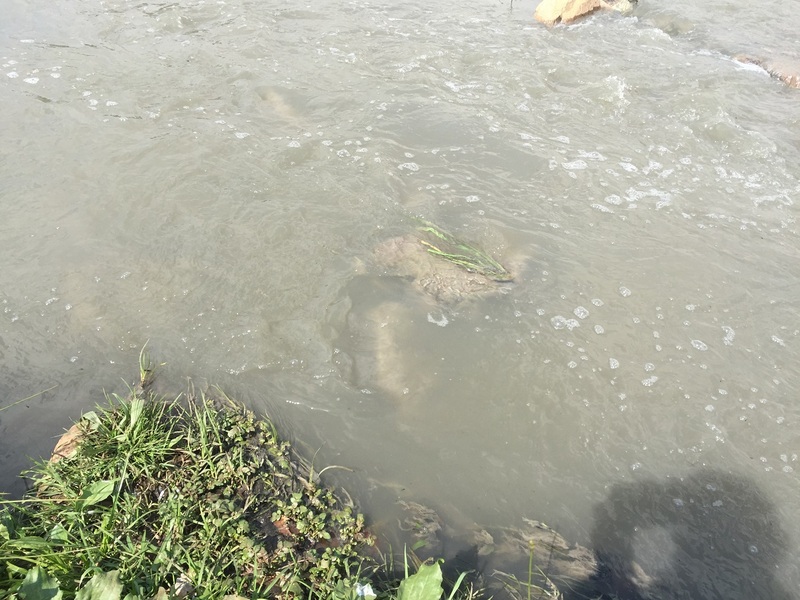 This is usual since breakdown of sewage by bacteria produces the substances causing stable foam. The source of the current problem was easy to find. The photo shows the scene about about 50 m upstream from Queen Street Bridge. Pollution in the Jukskei River (foreground) is typical up to this point. In the background high volumes of heavily contaminated water are flowing from the Queens Wetland, which normally adds small volumes of clear water. Hi Irwin. Please can you send me your mobile number. 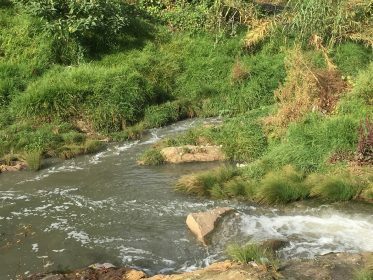 I am urban design student at Wits and looking to do masters degree thesis around the Jukskei urban river course. 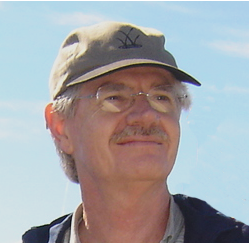 Thank you as always for your invaluable input and follow up Irwin! Ive been assured by CoJ that bioremediation will take place this week – and start having an affect by the weekend.